Yesterday has been busy for quite some time now. Maybe you’ve guessed that. Maybe yesterday has been busy for you too for quite some time. The winter lull of schedules that never really happened and the swift pace of life in springtime. We’ve got friends and family and visits and excursions. We’ve got school almost over and summer almost here and vacations looming just over the horizon. We’ve got appointments and meetings and the never-ending stream of big decisions to make. (We’ve got the feeling that I’m free-writing my to-do list for you right now). I’ve got work. Lots of work. And projects. So many projects. 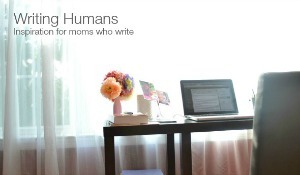 It makes the part of me that always dreamed of being a successful freelance writer dance with glee. This is good, so good. It’s working. But, you know, a day like yesterday, and yesterday’s yesterday, used to send me quivering. I’d be literally vibrating now with the excitement but also the anxiety and stress of it all. I’d be snapping and feeling like I’ve let my family life slide in this time of so much going on. I’d be worried about the sustainability of our schedules and this life and how do I make it all work? But yesterday, I was ok. Today I am ok. It is better to be with than to do for. It’s just a collection of words that could be said and let to swiftly disperse into the air. They sound so nice and it doesn’t take a lot of thought to nod your head, yes, that is true. Honestly, it’s one of those phrases that I will often just nod my head thinking, yes, that exactly, that is what I needed to hear. But in the next second I typically move on with my busy life, forgetting the nugget of wisdom in the chaos of toddlers screaming beneath loud re-tellings of a kindergartner’s day. I actively seek out these nuggets all day long and regularly fail to grasp them long enough for them to make the impact that they need to. Yesterday I walked out of my office after my last meeting of the day and there was chaos. Kids having just arrived home running and shouting and vying for my attention. Husband making dinner and asking questions about ingredients. My own mind still swirling with the list of to-do’s I’d gathered in the meeting, bits of colleague’s feedback floating around. And suddenly, Shauna’s words passed through my heart and mind. It is better to be with than to do for. It is better to be with. Be with. And so, I was with. I sat on the floor and let my little boy curl into my lap to play with his toys. I dutifully stood next to my daughter to dress Cinderella and Prince Charming for the ball. I sat on the couch and played hangman until Daddy capped off the game with ‘bedtime’ as the word and we all made our way upstairs. I did a little for too, of course. This season of motherhood is still primarily do for with dinners to make and baths to give and things that rest on shelves too high for little people. There has to be more than a little do for in my life right now. But perhaps the do for should never come at the expense of the be with. Linking up with one word. I’m so glad to bring it to you! Yes – abiding. I have such trouble just standing by while others do but i too have this feeling that it is exactly what I need to do lately. Great post, and good words to remember. 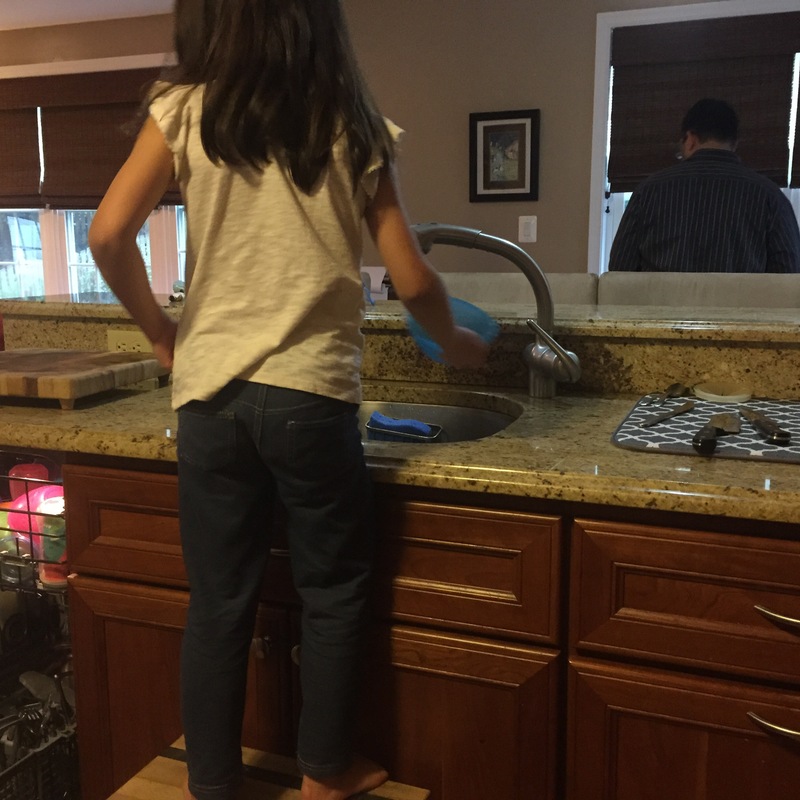 I remember reading something years and years ago that always stuck with me: No one will look back on their death bed and think, “I wish I’d done the dishes every night.” That’s what I remember when my daughter wants my attention, but there’s 100 things I “should” get done. Those things will still be there later, but she needs me right now. Stephanie recently posted..We didn’t fight yesterday. My computer and desk are in the dining room which is right next to our living room. I am seated at my computer doing blog work much of the time I’m home. My husband is nearby most of the time – either on his own computer or watching TV – so I’m often “with him” even while working. We have a bedroom that has recently become a “spare room” because Bill’s youngest son is in his late teens and very seldom comes to stay with us at this point. Bill keeps saying that we could convert the room into an office for me … but then I wouldn’t be “with him” while I work, so I’m not much in favor of making the move. I don’t always have time to “do for” him, but feel that I can at least “be with” him as much as possible. Your excellent post is a great reminder of that! Thank you! I really love your words at the end and am teaching myself more and more to let go for my kids and just be in the moment when possible. So, as much as at one point I was fighting this, I am embracing all the moments I can right now, too. “perhaps the do for should never come at the expense of the be with.” I think that’s an even better sentence than Shauna’s! I understand this so much and the busy has been so overwhelming for me lately. I have definitely let the “do for (everyone)” get in the way of the “be with” and I needed this reminder. Exactly what I needed for today. Thank you. Nina recently posted..Does Marriage Mean the End of Certain Friendships? I need to hear this, and remember it. I have less and less “to do for” as my kids get older, but the “be with” is still just as important.